Tape/Meadow | Stampers With Altitude!!! Good morning! As part of my stamping frenzy (I’ve been on it all week so far! ), I used a card that my upline designed but changed it all up. The common elements are the Whisper White paper double layered, using circles for the image, and using the Tape It stamp set. 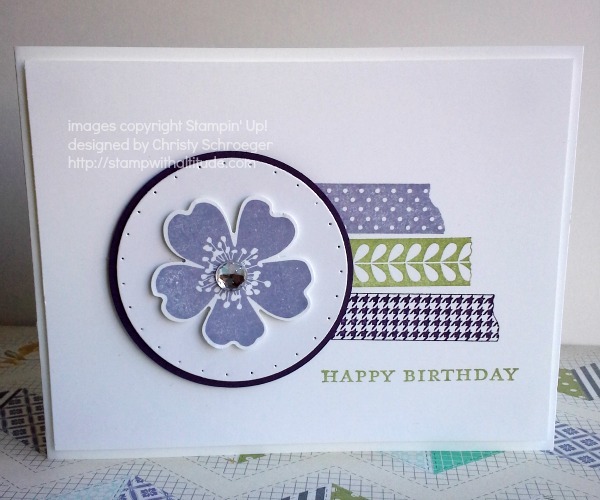 This is SUCH a quick and easy card but elegant too! I really liked the way it turned out. What do you think?